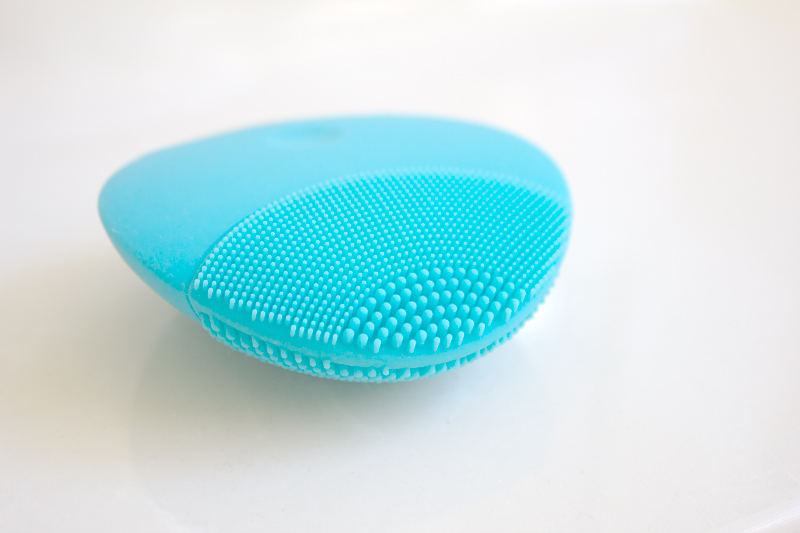 The Foreo Luna Mini caught my eye with its sleek design and travel friendly size. Having used the Foreo Luna Mini for three months now, I must say that I’ve noticed a decline in clogged pores and whiteheads (especially around the nose area). I’ve also had a more travel intensive schedule these past few months and was surprised that I experienced fewer breakouts, especially since I was in hotter climates. 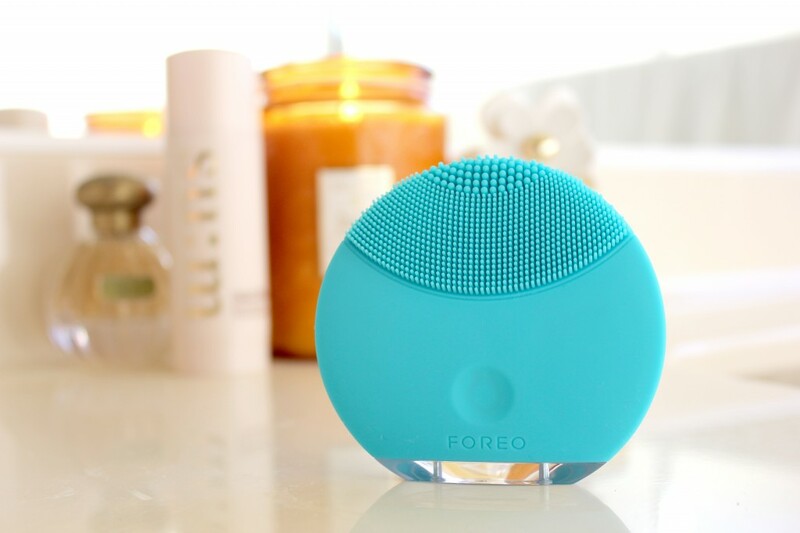 It was really easy and convenient to bring along the Foreo Luna Mini (it fit nicely in my toiletry bag), so I was more diligent in cleansing my skin. Since the Foreo Luna Mini is made with quick-drying, anti-bacterial silicone, I really liked not having to worry about the maintenance of the device. After each use, I would simply rinse it with warm water and let it air dry. Apparently you can even throw it in the dish washer for a deep cleanse, but I have yet to try that. I also found the silicone bristles to be very durable – the device was being constantly pushed against other products in my toiletry bag and emerged with no visible damage to the bristles. Also, the battery life is amazing – you can get around 300 uses with a full charge, so I didn’t have to bring the charger with me on my trips. The Foreo Luna Mini costs $139 and is available in a nice range of colors. There is no need to replace the bristles, so the longevity of the device will be dependent on how you care for it. I also have the Clarisonic Mia 2 and mainly use it when I’m experiencing breakouts or clogged pores. 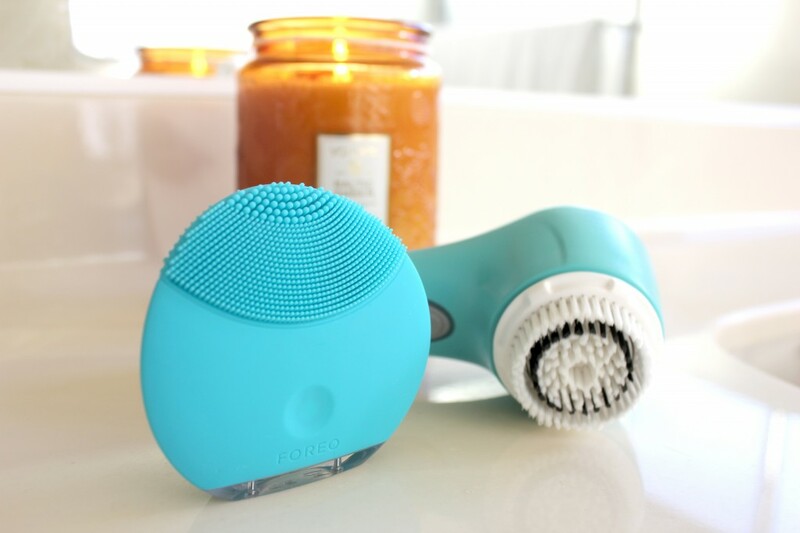 In comparison to the Foreo Luna Mini, the Clarisonic does offer a stronger cleanse as the vibrations and the movement of the hair bristles feel as if it’s “brushing” my face more. The downside is that the Clarisonic brush heads have to be replaced every 3 months and after going through two of them, I haven’t had a chance to purchase another replacement set (so I’ve stopped using it for now). I also find that you have to be more careful in caring for the Clarisonic brush heads to avoid bacteria from collecting in it. For travel, I find the Clarisonic Mia 2 to be on the larger and heavier side, so I prefer the size and convenience of the Foreo Luna Mini. Overall, I really love the size and low-maintenance appeal of the Foreo Luna Mini. Since I prefer lighter coverage makeup on a daily basis, I find the Foreo Luna Mini is both gentle and effective in makeup removal and cleansing. The price point is more affordable than the Clarisonic, so if you’re just starting to experiment with skincare tools, I would recommend this one as a great starter device. If you have any questions, feel free to drop me a line in the comments section below! If you’ve used both devices, let me know which one you prefer. The Foreo Luna Mini is c/o of b-glowing, an online beauty boutique with a premiere and unique selection of emerging brands and proven staples.